The easy way to add cost price (COGS) to Shopify stores. Adds the ability to add cost price (COGS) to all your variants. Calculate your profit and margins to help you make better decisions. 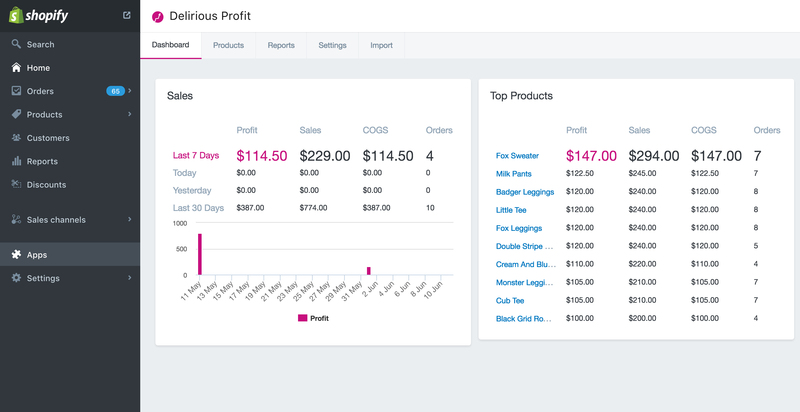 Delirious Profit takes the hassle out of calculating profits and margins for Shopify, especially at the end of the financial year. You can focus on value-adding activities that fuel the development of your business, rather than staring at a speadsheet. 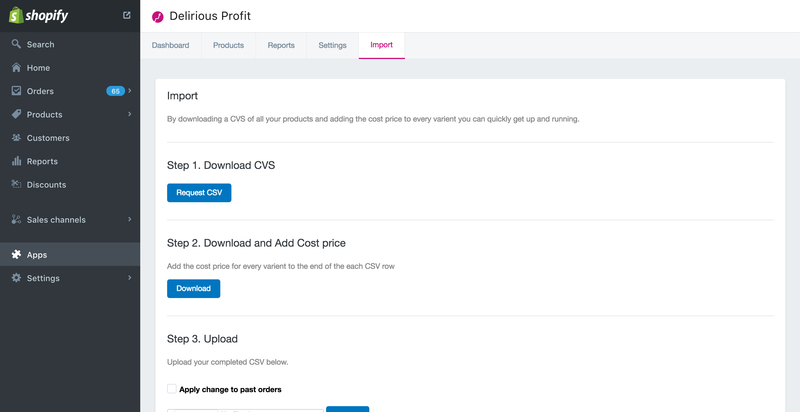 Simply add the cost of goods sold to your variants and Delirious Profit will automatically tell you the margin you made on that product - and provide a bird's eye view of profits over time. So for example, if you run an online clothing business, the cost of goods sold (or COGS) is usually the wholesale price you paid for an item, plus any shipping and storage costs. 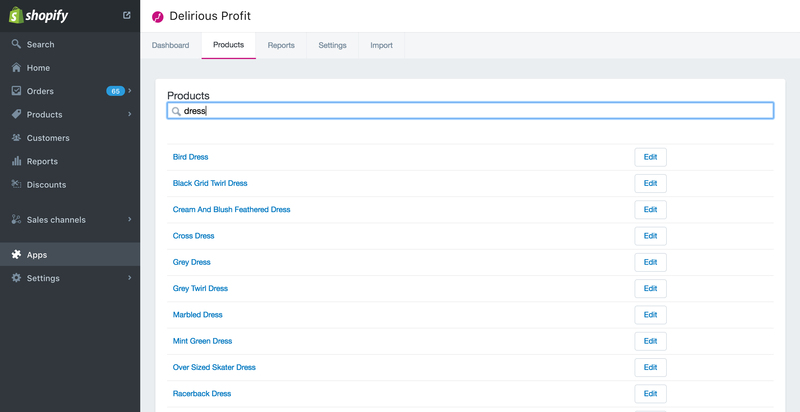 Delirious Profit is easy to set up, intuitive to use and gives you the data you need to transform the way you do business. 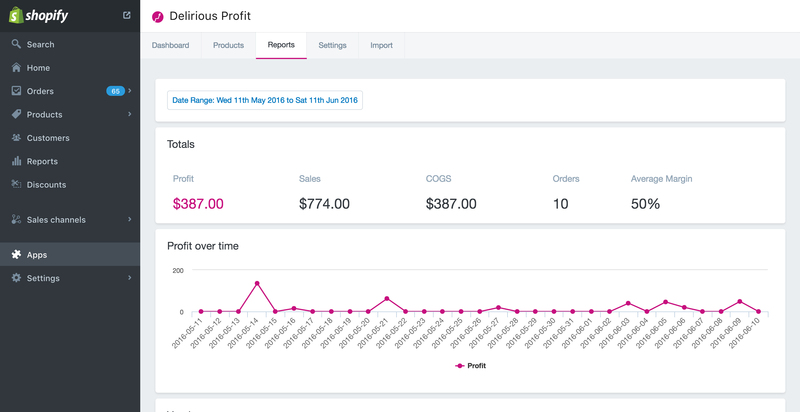 Generate reports in just a few clicks to compare profits by vendor, or see which months of the year are most profitable so you can tailor marketing strategies to match. Plus so much more. When you sign up for your free 7-day trial, you'll get full access and support to help you unlock the potential of Delirious Profit. With better insight into business performance, you can make more informed decisions to provide a more competitive service to customers and, ultimately, increase profits.